Benton Harbor Area Schools was a topic of discussion this week for the Michigan State Board of Education. At a Tuesday meeting, Interim State Superintendent Sheila Alles said the School Reform Office has heard back from the Michigan Attorney General’s office regarding what happens to the school district’s cooperative agreement once the SRO ceases to exist on July 1. Alles said there will be three options. MDE is the Michigan Department of Education. The decision will be left with the Michigan State Board of Education. 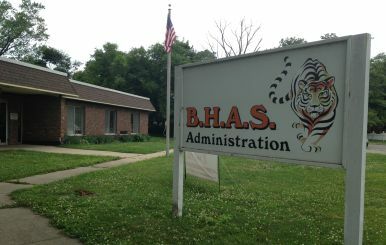 The cooperative agreement Benton Harbor Area Schools has with the state is what put CEO Robert Herrera in charge of the local district and left the board of education out of the loop. Two of the three options outlined this week would put the board back in control. State board Vice President Pamela Pugh said there needs to be a meeting between all concerned parties.